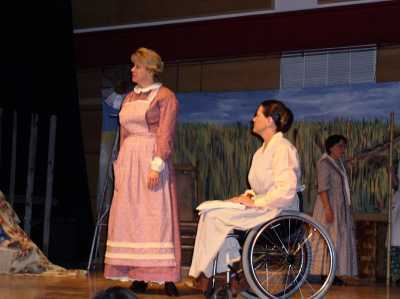 Very non-19th century, in my prairie dress and high tech titanium wheelchair. Very cool! You look great! Will the DVD be out in time for Xmas?